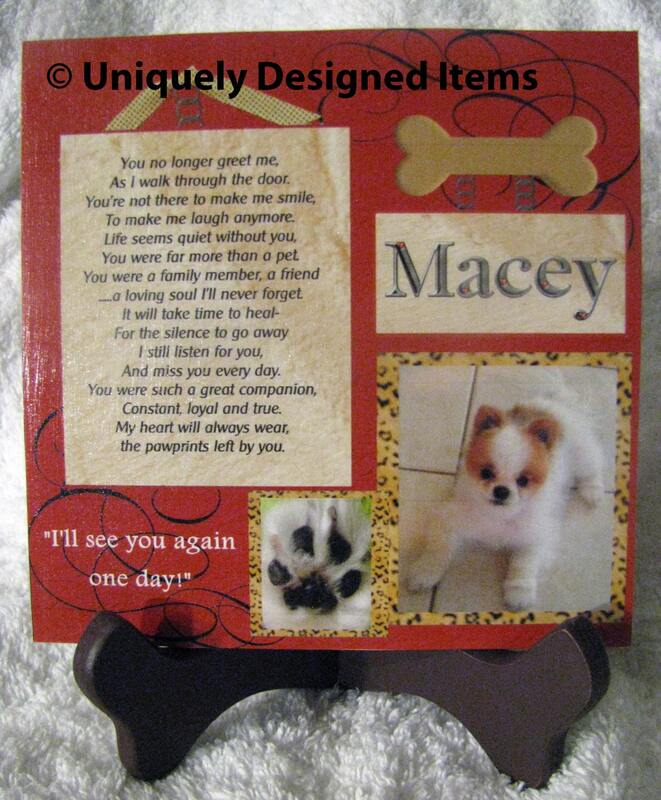 Pet memorial keepsake - Pet Memorial Plaque - Pet Memorial Gift - Pet Loss Gift - Pet Loss - customized just for you! 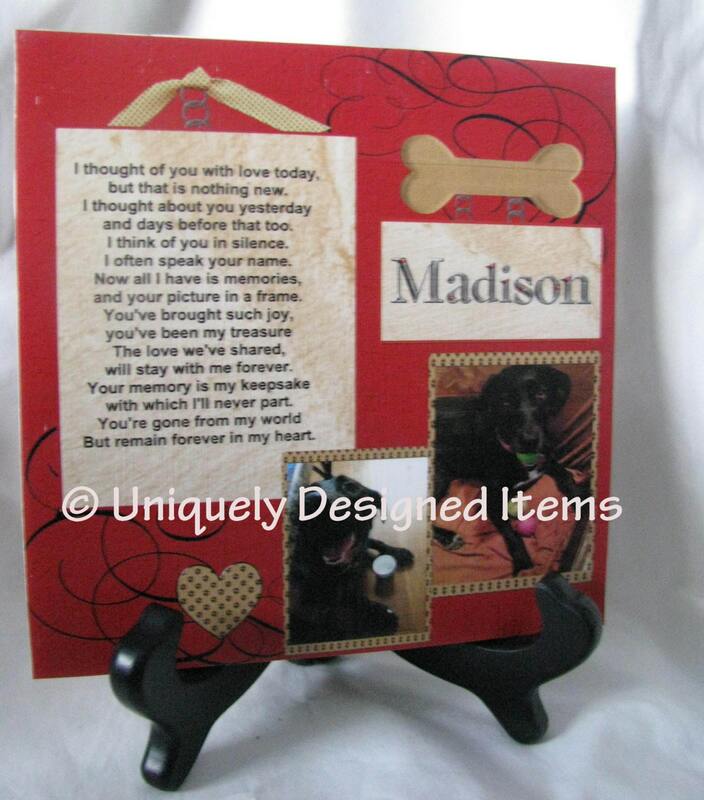 Pet memorial keepsake - customized just for you! 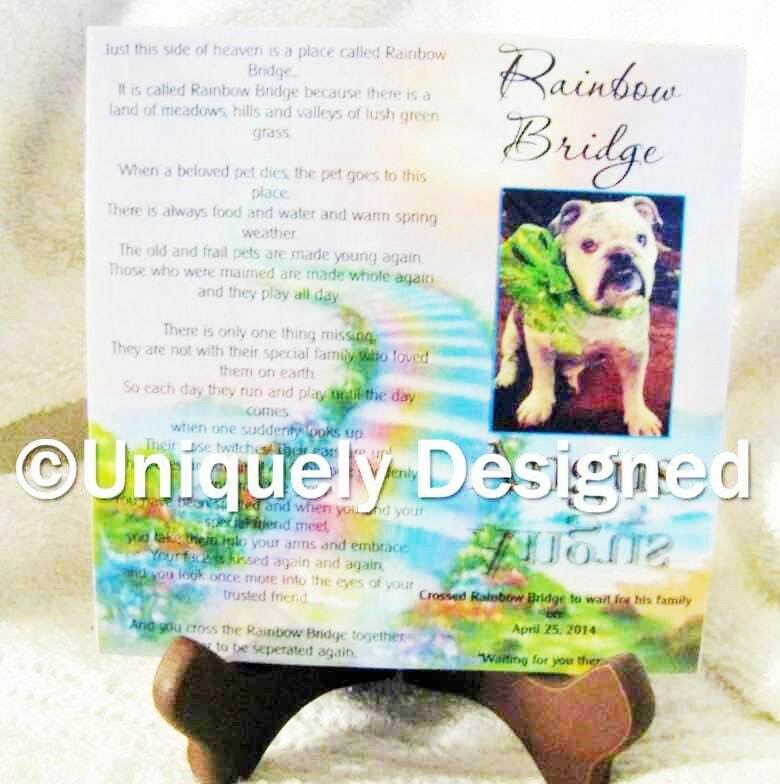 Pet memorials are close to my heart because I've been there. I've lost furry family members and I know you can't understand the pain until you've been there. 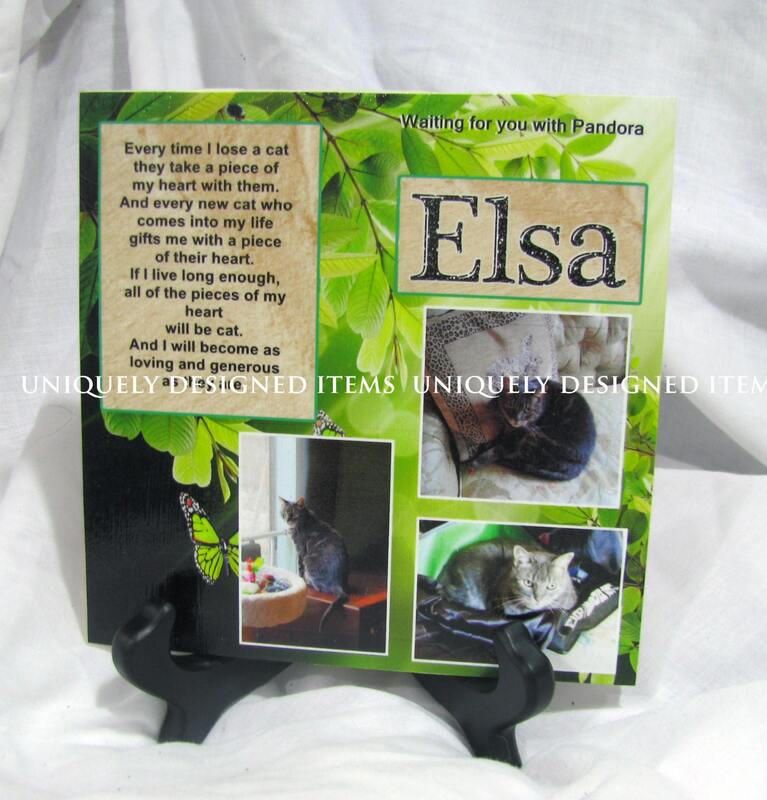 I hope my pet memorial tiles will help bring you some comfort by remembering a loved furry friend. They are ceramic tiles with a cork back. A wooden stand. 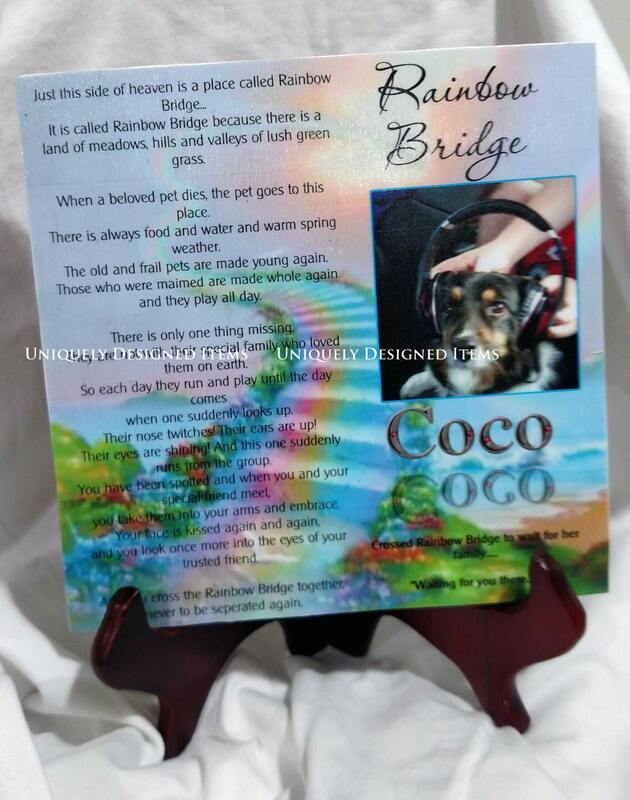 You can pick between Rainbow bridge or another poem (see second picture for some of my other designs) I'll also custom design one for you. If you have a poem that is special to you, just let me know. You can receive up to 6 samples to pick from. 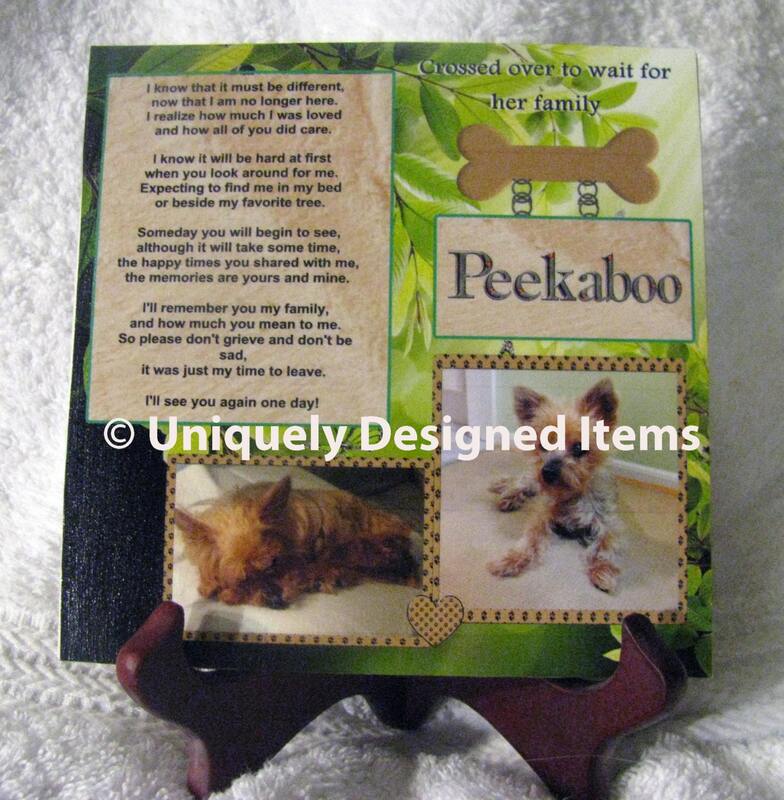 We want your pet memorial to be extra special and help you remember your pet for years. I'm listing the finish time as 1-2 weeks because when I work with you one on one, I want to give you time. However, once you've picked a design, my goal is to get it in the mail in 3-5 days.